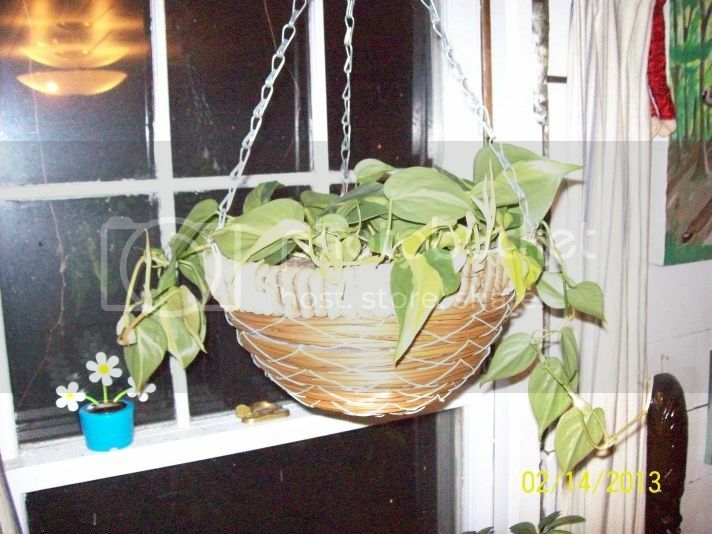 So I bought a Brazil a few months ago and have taken the plant out of the 4 inch pot and moved it into a Hanging basket recently and its doing amazing in my west window. I was wondering how long it will take to fill in the 10 inch basket?? 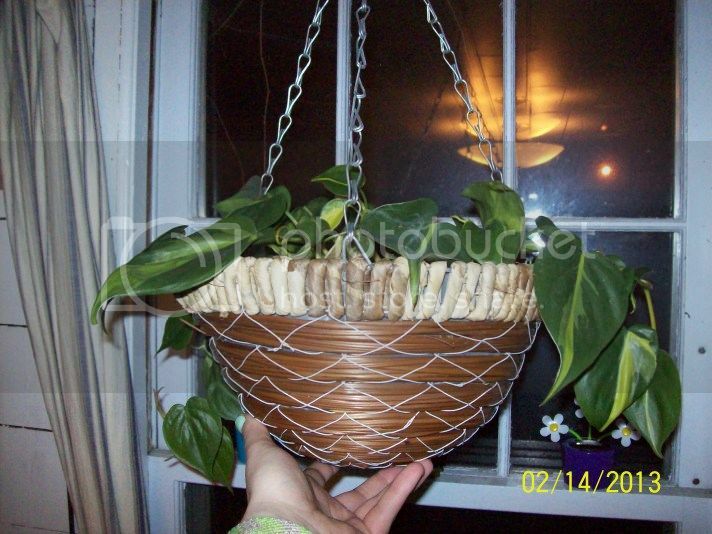 Also was wondering how philo's fill out pots like how do they take over a pot if you just start with a few vines in a 4 inch pot... thanks! P. Brasil (or Brazil) is a beautiful plant. You have good taste. Growing conditions vary so it is a bit difficult to say exactly how long it will take them to do what you want them to do. It does sound like your plant is happy where it is located and that's important. 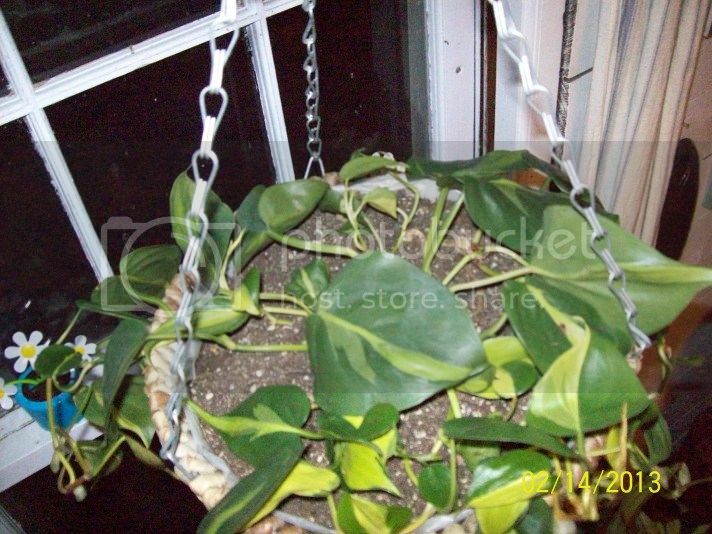 My philodendrons grow fairly quickly as do most of Philos. Thanks!!! Its growing quickly hopefully fill up the basket as the vines get longer and hang over the side! You're welcome. I hope you can post a photo of yours sometime. Last edited by Happy Days on Thu Feb 14, 2013 1:26 am, edited 1 time in total. Looking good. What are the temperatures like there now? your brasil is really nice as well I think I'm going to attempt to make a column lant stand this summer out of something cool. 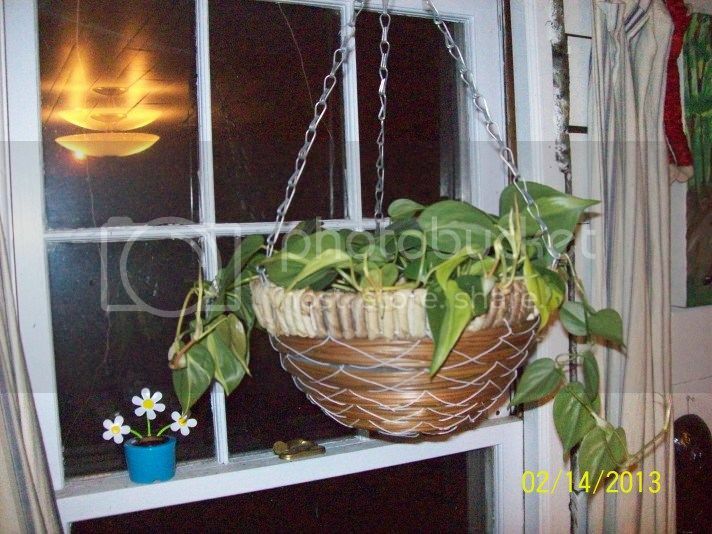 wood and maybe other stuff... is there a way to make my Philo vines grow UP the chains of the basket? Well, you are doing great with your growing conditions. Happy plant! The only way I know is to wrap them around the chains manually. Sometimes they will stay like that and continue to twine the way they are trained and sometimes I have to use a few plant ties to hold them securely. You are more than welcome. 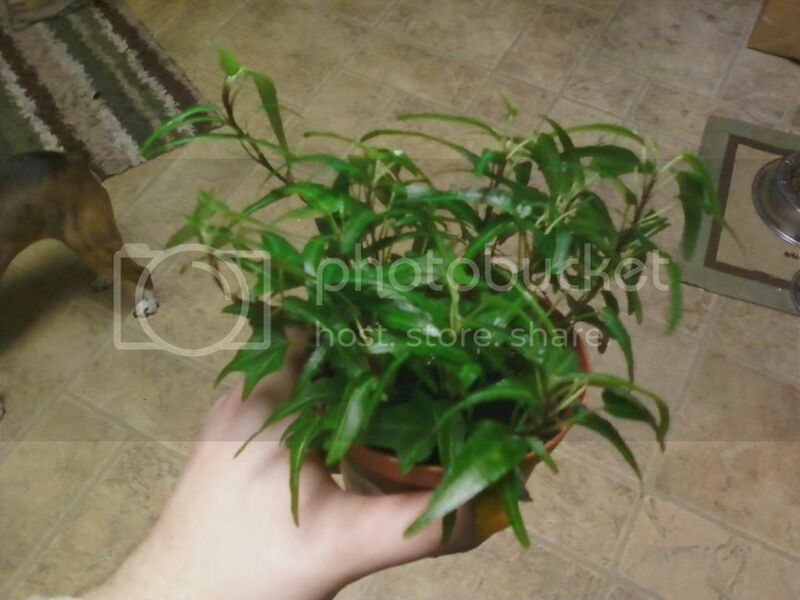 I thought you might be interested in this plant I bought yesterday. All of them were tagged as Philodendron Brazil. Well, not, of course. I like variegated leaves so I bought it. 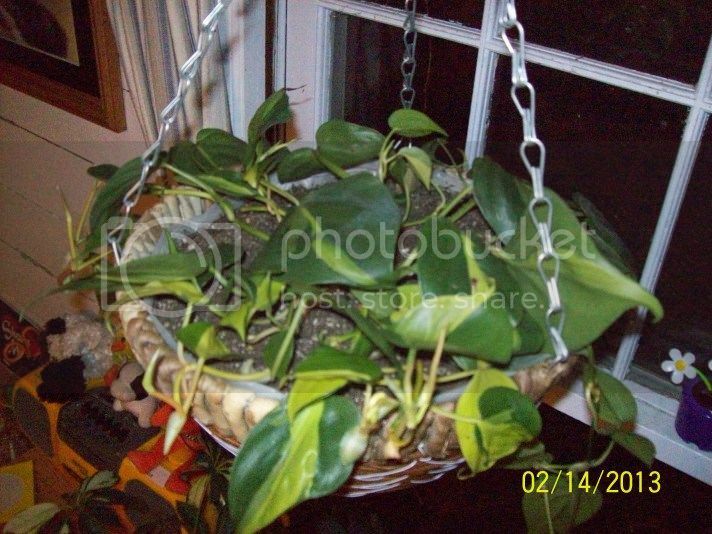 It's an Epipremnum pinnatum (synonyms are Scindapsus aureus and Pothos aureus). Anyway, I think we're all in agreement it isn't P. 'Brazil'. That's for sure. One of my pet peeves with the Big Box stores. Nice looking for $3. Do you think it's this? Got a new Rojo Congo Philodendron.